January is a funny time of year. It’s the month where, against the trend, I go to the gym the least. I can’t stand how busy it is, how the car park is full, how everyone is wearing their new and often bright white gym clothes. They weren’t there in December, between Christmas and New Year, when Spectre and I practically had the place to ourselves. The other funny thing I noticed was in Starbucks, where the usual queue for flavoured lattes, and hot chocolate creations had also changed somewhat. I still fancied a new drink, but as the Christmas specials had disappeared and are yet to be replaced, I settled on a green tea latte, to be honest I didn’t even know they did them there. Behind me the lady also asked for a green tea latte, and the man behind her asked for a green tea Teavana. 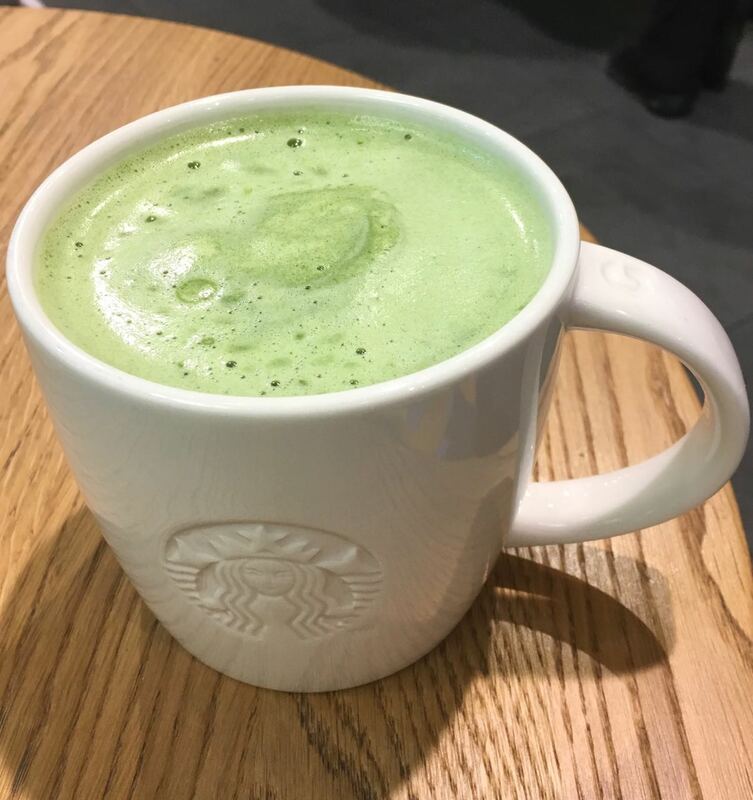 It is the unofficial month to detox, but seriously who would have thought green tea would sell so well in coffee specialists Starbucks. I have to say though they make a nice green tea latte. The drink was made with hot milk mixed with a large spoonful of matcha powder, and frothed together. The flavour of the drink was spot on, there was a subtle hint of sweetness and a little bitterness from the tea, which balanced itself well. The flavour is herby, but also fresh. If you’ve never tried one before it makes for a very different and surprisingly soothing drink. It nice to see Starbucks mixing things up a bit, and catering for the January detox market, I’ll be back on the syrup and cream topped drinks very soon though, watch this space.